“This store is great and good customer service! 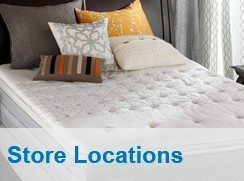 Plenty of mattresses to choose from and the shopping experience couldn’t have been easier. Our “Sleep Specialist” Anthony took time to answer all our questions and concerns. He really knows mattresses inside and out, and he lets you check out all your options without pressure. Anthony suggested we take our time to really sample the mattresses and get a feel for each one we were considering. We love their Comfort Guarantee policy. Their prices were fair too. We are very happy with our purchase.” – Lili P.
“Bryan, I wanted to thank you for your extra-ordinary service and expertise. 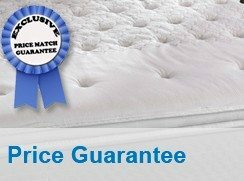 You made buying a mattress an easy and “almost” enjoyable experience. On top of taking great care of me, you also sold me a fanastic bed! I love my Tempur-Pedic and have never slept better. I will recomend you with pleasure. Keep up the great work!” – Jim D.
“Great service, not pushy and very knowledgable and helpful. Delivery was on time a professional.” – Beverly V.
“WOW! What an easy/fast/wonderful experience. I came into the store on a Saturday and only had a few minutes. Louie was AWESOME. He listened to what my needs were and what I was looking for. He showed me 3 options that were all great options. Ultimately, he helped me decide on the perfect mattress for what I thought was going into a guest room, but decided that I would upgrade my son’s mattress and put this mattress in his room. Perfect decision, and a very wonderful buying experience. Thank you Louie, you were GREAT to work with……” – Sharon C.
“I shopped many other stores in the area before buying this mattress set and yours was by far the best in every way; price, value, variety, appearance, and customer consideration. The conveniently located and easily accessible site was greatly appreciated.You are fortunate to have such a competent, personable, and helpful employee as Chris working for your company. He uses no high pressure tactics. His sales approach is just an honest, forthright commitment to service and meeting the needs of the customer. My mattress set for a guest bedroom was delivered on the same day I purchased it. I will definitely recommend your store and this salesman to others. Thank you.” – Barbara C.
“I am so excited about my new mattress. I really enjoyed working with my salesman, Phil. He was very patient with me. He answered my questions without any hint of being impatient. There was no pressure from him to make my purchase.” – Tara W.
“I took my mom down there and she bought one and she loved the Tempur-Pedic beds. I bought one 3 years ago and I love my bed. It works really well. I would recommend this bed to allot of people. This bed is amazing. My mom loves the bed. The salesman helped us and he was very nice and helpful.” – Jennie B. “My fiancé and I had a great experience purchasing our first mattress with Corey Hodges. His patience and service with us as we debated our selection was great and much appreciated! Thank you for your helping making this purchase with ease.” – Jennifer P.
“I love our new Tempur-Pedic mattress Rhapsody adjustable advanced base. Best nights sleep! Thank you for guiding my selection.” – Alan P.
“Both my husband and I have back problems and purchasing the Tempur-Pedic was the best investment we could have made. Instead of tossing and turning most of the night with little sleep or rest; we now sleep throughout the night and wake up relaxed and refreshed.” – Delores M.
“I had the easiest time looking for and purchasing my two new mattresses! I bought one for myself in a king size and one for my son in a single. Thedelivery men were so polite and friendly! The salesman at the store gave me all the information I needed, didn’t pressure me at all and even joked andencouraged my son to play a bit in the store while I completed the purchase. All-in-all, it was an excellent experience and I would recommend the store and the mattress to anyone who asked.” – Susan P.
“The salesman, Jerry Helms, was very helpful in helping me pick out a mattress. The mattress is comfortable and appears to be a good deal for the price.” – Jim S.
“Excellent sales support from a highly knowledgable salesman. He spent all the time I needed with no pressure. Thanks.” – Larry L.
“Approximately two months ago I was shopping for a mattress, boxsprings and headboard for my ninety five year old father in law. He was moving from a nursing home to an assisted living facility. I went to your store first and then shopped at many others in the area. Needless to say, I kept coming back to your business. I not only was impressed by the quality of the product, but also the sales person. I found Louie Ginocchio to be personable and very knowledgeable of his merchandise. After purchasing the mattress set and headboard, I delivered it to my father in law’s room. It was perfect and he loved it. I have referred other customers to your store also. Louie is a great asset for your business. When we buy our next mattress I will definitely go to your business to shop.” – Mary H.
“Very helpful. Great to work with to arrange a convenient time for delivery.” – Linda B. “We were greeted right away and Randy was very helpful despite being the only salesperson with up to 5 customers at once. Store was clean, selection was good and we purchased a mattress. 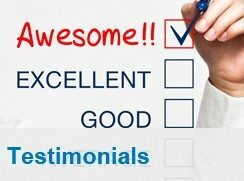 Very nice experience.” – Jen P.